With advancing technology, more sophisticated musical instruments became possible, and during the 20thcentury, peaking in the ‘60s and ‘70s, the electric guitar became an institution for musicians and a battlefield of competition among the great guitar players of the era. Les Paul, Duane Eddy, Keith Richards, Eric Clapton, Slash, Van Halen and Yngwie Malmsteen attracted legions of worshipful followers. 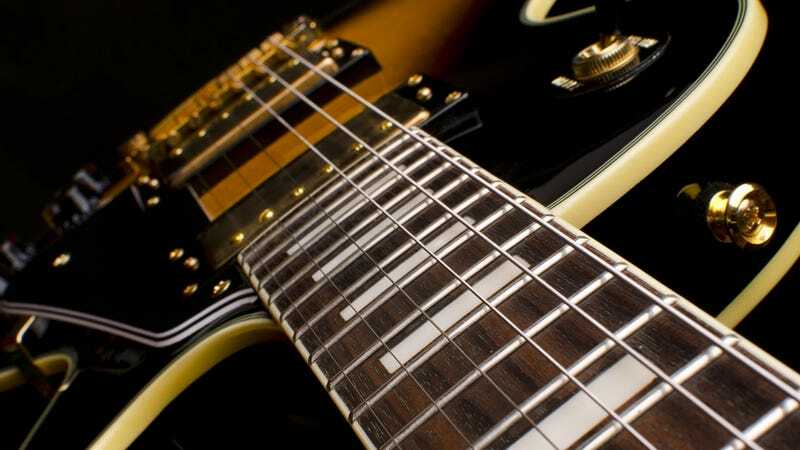 The endless Electric Guitar Debate (“Who is the best ever?”) is part of pop culture, and the top two contenders, Jimi Hendrix and Jimmy Page, are legendary figures in the world of rock n’ roll. Manufacturing got under way during the summer of 1932 by the Ro-Pat-In Corporation, later renamed theRickenbacker Electro Stringed Instrument Company, with the “Frying Pan” the first commercially feasible electric guitar.